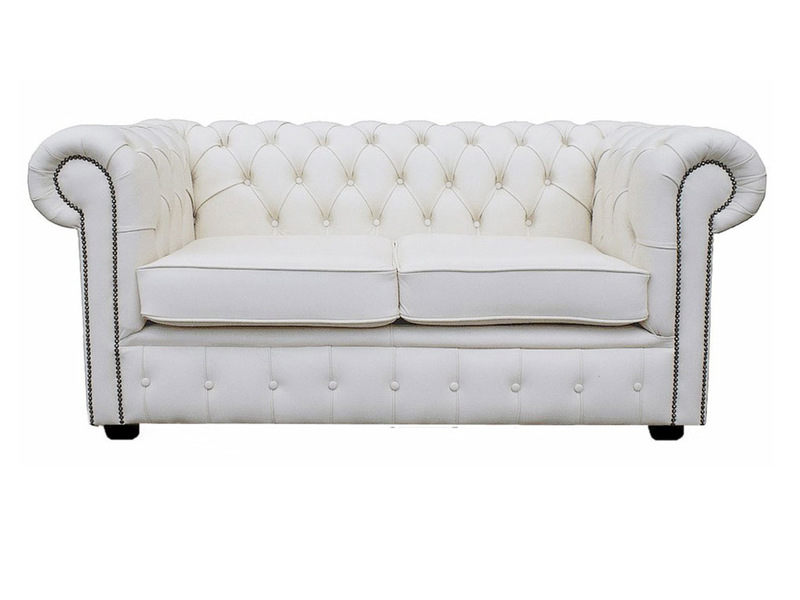 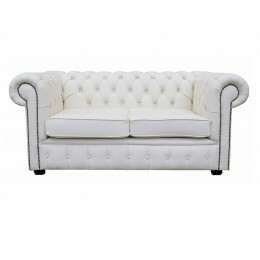 An attractive white genuine leather chesterfield 2 seater sofa bed hand made in the UK. 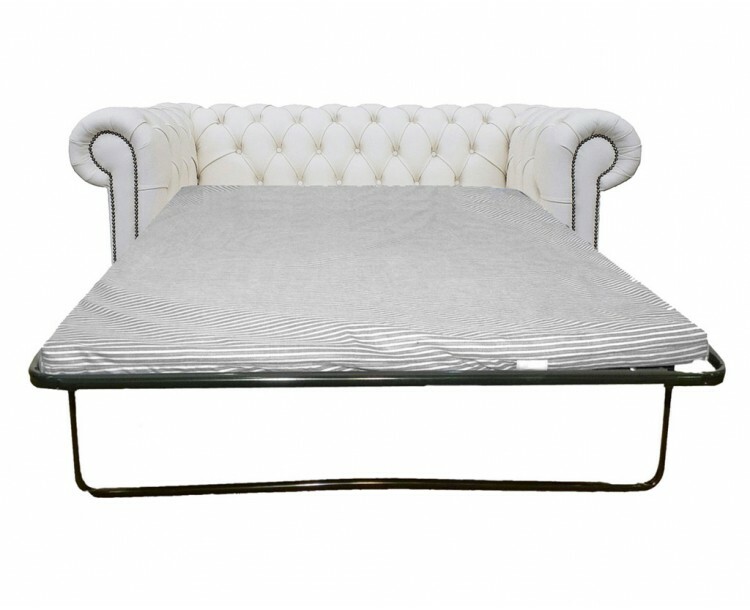 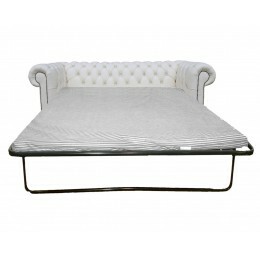 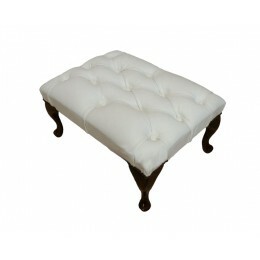 Its remarkable designed low back style and deep seat cushions offer a luxury touch to the sofa bed. 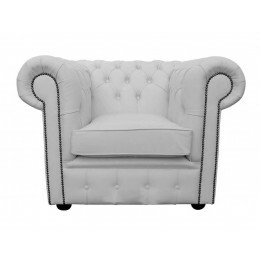 The scrolled arms are complemented with silver beading, and finishing with the mahogany wooden feet. 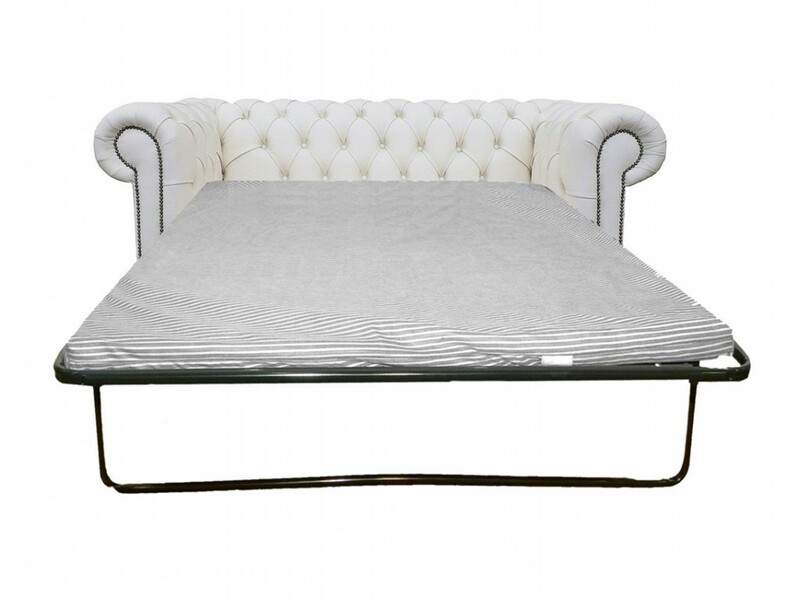 This 2 seater sofa bed has a metal pull out frame with a 2 inch thick single long-lasting foam mattress giving you years of luxury sleep.